I try very hard to ignore the frequent blogs and articles that either (a) pronounce the impending demise of the recruitment industry or (b) hysterically highlight what the author sees as some fatal flaw or failure of the industry. You're almost certainly guaranteed that such a piece is written by, or contains quotes from, the owner or employee of a recruitment industry vendor hoping to position their product or service, either explicitly or implicitly, as some form of superior alternative to using a recruitment agency. Frequently I fail to restrain myself and can't resist firing back at these publishers, authors or owners (Tyro Payments, News.com.au, Gen George and The Canberra Times are all examples from the past four years). Yet again I find myself torn between ignoring another piece of garbage with the now familiar theme; or teeing off. Teeing off won so if you're bored with my rants on this topic I advise you to stop reading now and go back to whatever you were doing. The piece in question was published last week on small business website Anthill Australia ('Anthill was developed to bridge this gap, appealing to highly innovative and ambitious ‘fast' growth businesses - SMEs with rapid growth potential and larger companies that realise the value of reinvention to stay ahead'). Titled You shouldn't waste precious money on recruitment agents, their time is already up the article was written by New Zealander Sharon Davies, Founding Director of Talent Propeller ('a specialist recruitment advertising agency which provided design, copywriting and booking services to companies'). In reality Talent Propeller is more than a recruitment advertising agency. Their website reveals a variety of other services available; services that would fall into the category of unbundled recruitment services (eg shortlisting, skills testing) available on a pay-as-you-use basis. Consistent with the history of these sorts of articles Ms Davies is a recruitment industry vendor attempting to undermine her largest competitor; the recruitment agency sector. Unfortunately for Ms Davies, she finishes up embarrassing herself to such a large degree as to substantially undermine her own credibility. So going for an interview and, apparently, not receiving feedback or coaching is a 'gruelling' experience? What planet does Ms Davies inhabit? Trekking to the South Pole is gruelling. Performing brain surgery for 8 hours is gruelling. Working down a coal mine in past centuries was gruelling. Going to a job interview and waiting for the phone to ring is not gruelling, it's just normal life. Actually it doesn't. Ms Davies manages to misinterpret her own company's survey! Actually they don't, Ms Davies company survey does not ask this question (if it was asked the results are not reported) so how she reaches this conclusion is not known. '... in the last 20 years, we've seen a rapid transformation of the social media landscape, meaning that people and businesses have the ability to connect on a scale like never before. Ms Davies seems to confuse finding people with recruiting them. No recruiter will dispute that it is easier to find people than it was 20 years ago but how many recruiters would agree that is easier to recruit the best people, compared to 20 years ago? I suspect the answer is close to zero. overhead (noun):the general, fixed cost of running a business, as rent, lighting, and heating expenses, which cannot be charged or attributed to a specific product or part of the work operation. How can a contingent cost such a recruitment fee possibly be a fixed cost? It's the ultimate variable cost! If you don't hire a person via a recruitment agency then you don't incur the cost: duh. What? Is the author a complete moron? When a company pays a recruiter the agreed fee, the recruiter has delivered something tangible - it's called a new employee. Unless a placement occurs, no fee is payable. In my 28 years of experience in the recruitment industry I have never heard of any client paying a recruiter for an 'ambiguous promise'. If a placement has not been made and a recruiter has been paid then clearly the recruiter has delivered a service that was contractually agreed to between the two parties. Otherwise the client would be liable to pay, and you can be sure they will pay ... zero. Where to start with this paragraph? What recruiter doesn't put their best candidates forward to the job? 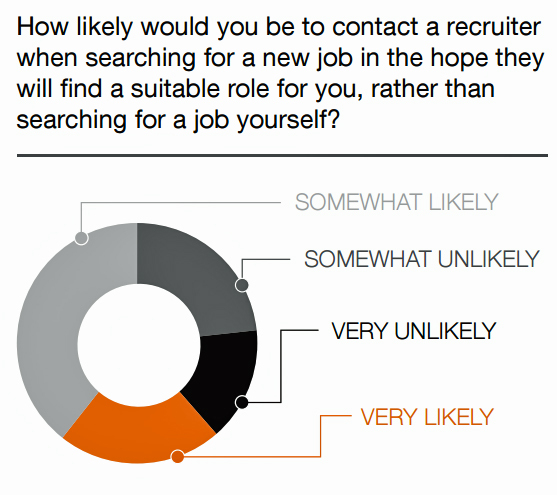 Of course recruiters put candidates forward for more than one job - isn't this in the best interests of each candidate? Don't candidates, and clients, want more choice not less? Any decent recruiter will be happy to provide a summary of applications and screening; but most clients don't want it or don't ask for it. 'Businesses are starting to switch from recruitment agency hiring to smart, yet simple technological innovation that removes the waste and ambiguity from the hiring process. While those technologies harness the communication potential of the changing media landscape and ad methods, it still includes real people to account for the human nuances of some industry-specific roles. This paragraph appears under the subheading Technology has made recruiters redundant. What does the author mean? What point is she trying to make? It's pure and unadulterated gobbledegook. What pearls of wisdom does the author conclude her article with? Yes, folks there you have it - the Great Leap Forward of the recruitment industry, according to entrepreneur Sharon Davies is......targeted job ads. The death of the recruitment industry is based on: posting a targeted job ad and waiting for people to apply. Wow. When we see such misleading, ignorant and, let me be frank, moronic articles coming from ‘entrepreneurs' attempting to build an offering in the recruitment marketplace, we gain an insight into the arrogance of such people who clearly think that all recruiters are lazy, unskilled and unethical. No wonder the recruitment agency sector is thriving if these sorts of business owners are our competition. looks like she managed to hit a chord with you mate! that is a lot to write about someone you claim is a nobody. With the recruitment industry booming like it is, i am surprised you had the time to write this. You must be a new reader – welcome. I have been finding time to blog almost weekly since September 2007 so it's just part of my normal week's work. BTW – I didn't claim, nor do I believe, the author is a 'nobody'; I simply dissected her writing and opinions. My name is David Doyle, and your article resonated with me for a number of reasons. I am old (53) and not as well informed or erudite as you so my posts will be brief, to the point and contain facts. 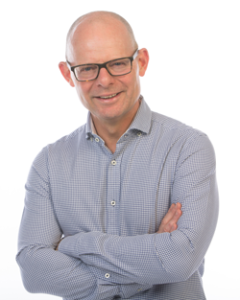 I found looking for a job gruelling – I decided to leave the job I had proudly done for 20 years and embarked on a career change. My skills were limited in the eyes of the recruiters I approached, and so was only interviewed by 2 recruitment companies in Auckland over a period of 4 years. I had 3 children and considerable overheads, so the lack of a steady income was stressful to me. I also had to regularly call recruiters who had made a commitment to come back to me, and was in some cases asked to resend my resume by email, knowing full well that the original email had been received. I did not become disillusioned, as I knew there were some great recruiters out there – I just needed to connect with them. Despite knowing many of them from previous interactions in the industry, and being something of a networker myself, I failed to make these connections. I kept trying. I am not a brain surgeon. I have not worked down a coal mine in past centuries, nor trekked to the South Pole, but I can tell you that being unemployed for even a brief period can be stressful and wearying in ways people in work can struggle to comprehend. Fortunately I now have a job. I work for a clever, innovative and transparent company in the industry I love. I sell stuff on a daily basis, and find great joy in doing my job – just like the preceding 20 years. I work for a tough demanding boss, and look to emulate her passion, drive and transparency. I am lucky I was hired, as I am older then every person here, and had to learn new skills and challenges. But I tell my friends it is the easiest job I have ever done – because the clients I ring embrace our offering, and I doing a product sale for the first time in my life. I believe that the traditional recruitment agents are operating in a “Sunset Industry”. Similar to Cable Television, Travel Agents, Encyclopaedia, Print Journalism and Video Stores. The young, agile and smart recruiters will figure out a way to transition. Me – I am too old. I work for a high school drop-out who earned my utmost respect by offering me a job – and impresses me every day with her single minded passion to excel at what she and her company does. Hello David, thanks for sharing your story. Congratulations on your attitude and I am very happy that your resilience and persistence has rewarded you with such a good job. My blog comment with respect to Ms Davies use of the word 'gruelling' is in the context of a singular job application, not a long term job search, such as you describe. I would agree with you that such a job search, with few positive signs, especially when you have a family to support, would be gruelling. I am fortunate not to have had that experience so, David, I completely respect your experience, thanks again for sharing it. Do not ever lose your passion, I love your article or I should say rant. However, I do not fully agree with your comments. My views are based on observing the behaviour of delegates both agency and internal at the ATC conferences. I do not see many agencies take a learning approach to technology and innovation. I think its because of the revenue focus. I also do not think they take a the role of educating and leading their clients when it comes to innovation. I am speaking generally and there are some agencies who do this particularly in the MSP RPO space where solutionms tend to be sophiosticated and complex. The agents that tend to lead their clients in innovation tend to be Manpower, Hays Futurestep and AMS of this world. However the lack of focus on innovation I think will lead to erosion of the Recruitment Agents territory. It will not happen as fast as this person claims but it will happen. Lets take analytics. I am convinced the BIG and Medium end of town will start to deploy analytics which will remove some of the selection decisions that are now based on screening and interviewing. If I was an agency I would be looking at this carefully, trying to understand the nuances and analytics of my key clients and leading them in this endeavour so that I am ahead of the game and my business is sustainable. Anyway, I love your passion and strategic thinking. Love your work Ross. I cant think of a better word than 'moronic' to describe Sharon Davies weak and shameful attempts to promote her own products. I guess that's the price we pay these days when everyone can publish anything they want to without a strong evidence base to support the comments. There is no doubt that the dinosaurs are dying out in the traditional realms of recruitment, but you don't have to go far with good recruiters to find a string of recommendations from very happy clients, who rely on our knowledge and expertise to find talented people in a tight market for skills. And what about all the candidates we assist to transition their careers who would probably never get an interview based on their CV alone. Please keep 'teeing off' Ross, morons like Sharon deserve to get called out for their nonsense. Glad you enjoyed my rant, David. Maintain the rage Ross! I agree the article was not able to appreciate the situation from each party's perspective. The candidate, client AND agency all have unique challenges in the recruitment process but for most situations it is still the right model. I am just glad you weren't asked about the US elections … although there have been some recruitment analogies about the experienced candidate not getting the job (the interview process was rather comprehensive). Thanks Rod. A blog on the US election would probably not be a good idea right now – I need a week or two to calm down and be a little more objective about the result. Tee off Ross… You go for it mate. I'll know it's time to retire, Brad, when I can't be bothered teeing off any more. Ms Davies deserves the call out and the verbal trouncing for gross misrepresentations of facts and her product. Thanks Ross for deploying your high analytical skills and experience to surgically dissect her ill-conceived offerings. As you aptly demonstrated, she failed woefully in her unwarranted bid to run down an entire industry in her inordinate quest to position and prop up her product. A product which by the way is at best a tool for targeted job ads! So much for the dead hoax of recruiting agency model ala Ms Davies. Calling the writer moronic and the tone you use just highlights how threatened recruiters are in today's modern world. Thanks for your feedback. I am not a recruiter any more so I am certainly not threatened by changes in, or threats to, the industry. Also I doubt many recruiters feel threatened by targeted job ads. I've been in the recruitment industry for about 3 years. Every 6 months, there is some article being posted about the death of our industry and that technology will take over. From my clients perspective, this is all about the people process no robot, computer or app can take that away and a person is what they want to do business with. Until people are dead, recruitment will be alive.